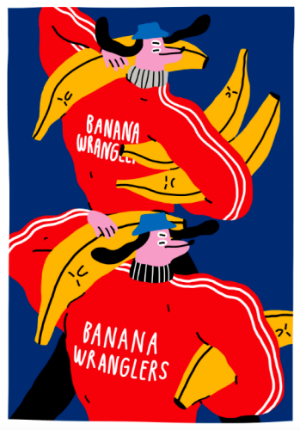 Pre-orders for the latest edition of Zainab Akhtar’s carefully curated independent comics box ShortBox went live today and you have until April 27th to make sure you get hold of this latest compilation of indie comics excellence. The new collection includes work by Niv Sekar, Lottie Pencheon, Joe Sparrow, Anatola Howard, George Mager and Egle Zvirtblyte. You can visit the ShortBox site here and order #8 online here. Here’s the important information about ordering from the ShortBox team with previews below. 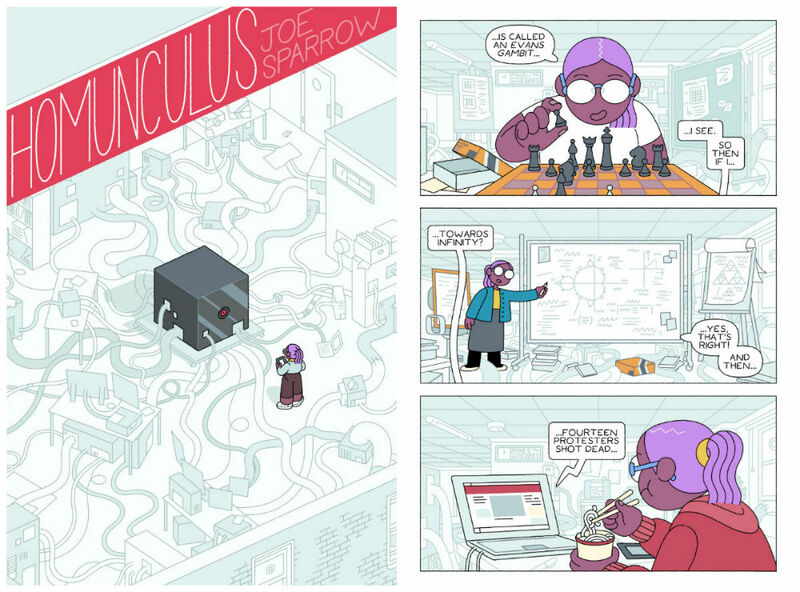 ShortBox is an independent comics box. It is not a subscription service. There is no signing up. It’s simply a (pretty ace) box of comics we publish every 3 months. The comics are brand new releases created especially for the box that you won’t find anywhere else. You buy a box, and that’s that- there’s no further commitment to anything else. Pre-orders run for a 12-day period. That begins today and ends at midnight on 27th April. This is the only way to get the box. You purchase an order, we put you down for a box. It’s a system that lets us know exactly how many boxes to make. You can pre-order ShortBox #8 right now, right here. We don’t remake boxes. The box will ship in June. Depending on where you live in the world, and also on the mercy of the postal system, your box can take anything from 2 days to 5-6 weeks to get to you. After that period, if you still haven’t received it, please get in touch with us via the ‘contact’ tab at the top of the site, and we’ll take things from there. 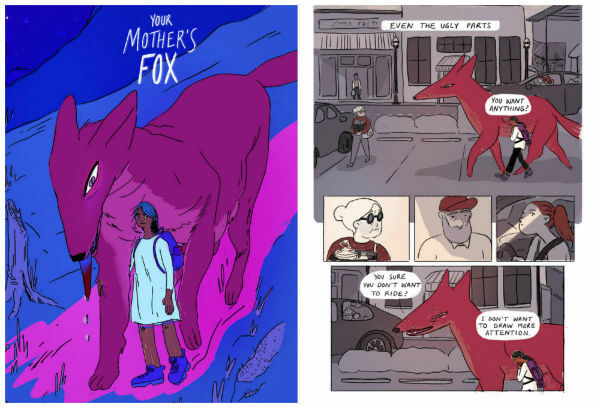 – Your Mother’s Fox by Niv Sekar 36pp, colour. A woman sets out to see America the way her mother did: on the back of a giant fox. And while a giant fox may be better than any car for a roadtrip, the fox is old, and America is its own land. A thoughtful and poignant treatise on place, identity, and belonging. – The River Bank by George Mager, colour, 40pp, french flap cover. George Mager brings his uniquely charming whimsy to this long-term passion project: an adaptation of Kenneth Grahame’s classic, The Wind in the Willows. Follow Mole, Rat, Toad, and Badger in an exuberantly lively and fresh journey, that will have you ready for the joys of spring. – Homunculus by Joe Sparrow, 70pp, colour. A machine at the end of the world… In the near future, a young scientist and her sentient creation struggle to understand, and be understood by, the world around them. A story about love and learning, death and time, told across the years. 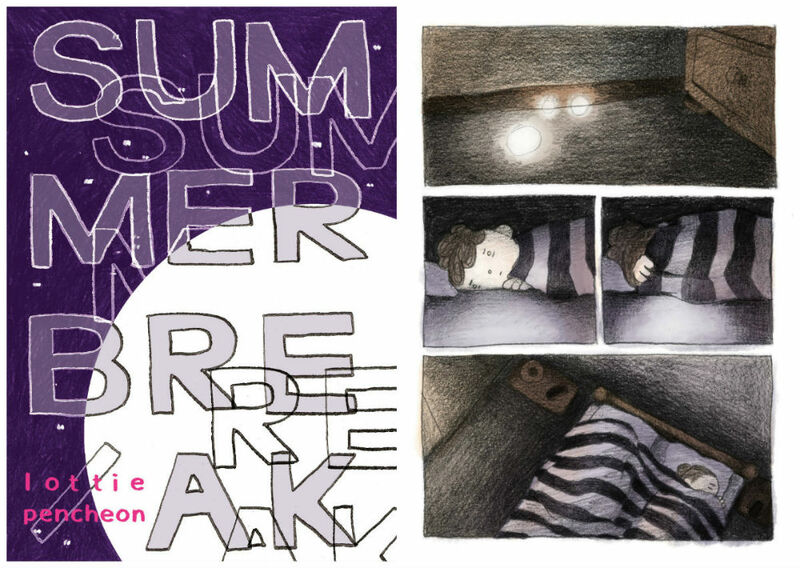 – Summer Break by Lottie Pencheon 90pp colour, perfect bound, spot gloss cover. Lottie’s been feeling ill, or ‘off’ at the least, the difficulty of articulating exactly what’s wrong leaving her even more isolated within herself. A break away with her family in the crisp, green goodness of nature seems like it could shake off any cobwebs, but it becomes apparent that what she’s facing is very real, and that there’s no quick fix. – What Are You Thinking About by Anatola Howard, 32pp colour and black and white. 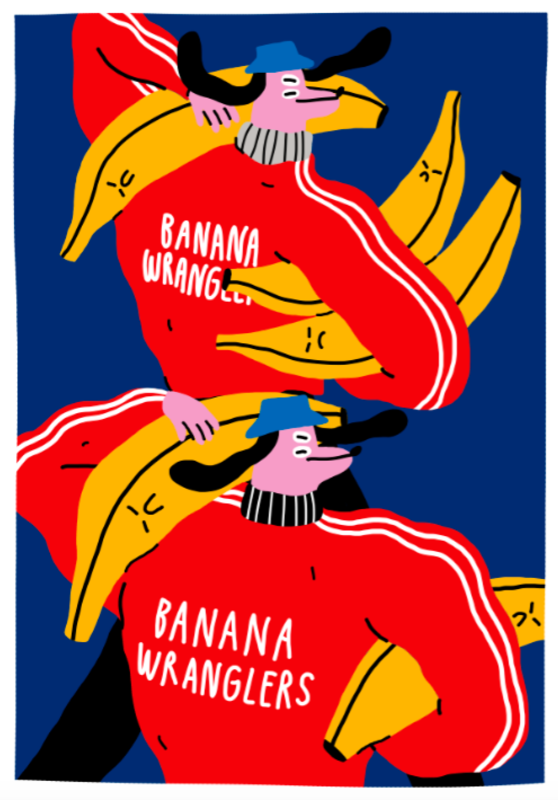 – Banana Wranglers exclusive A4 print by Egle Zvirtblyte. 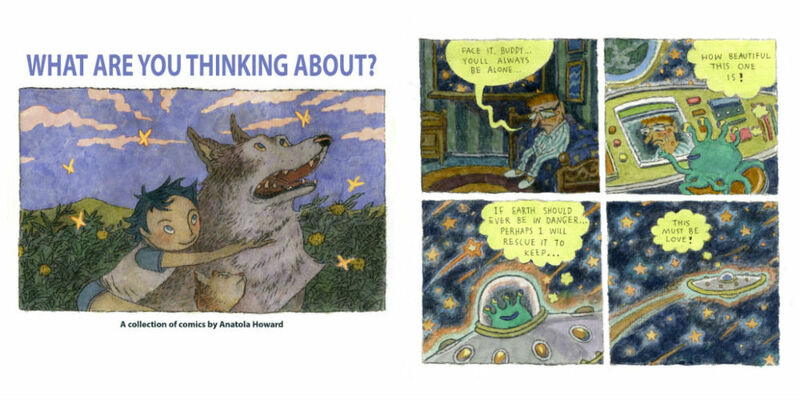 One more reminder: visit the ShortBox site here and order #8 online here.